Warriors European Challenge Cup campaign ended with an agonising defeat in a nail-biting all-Premiership quarter-final at Sixways. A penalty from Harlequins’ replacement fly-half Demetri Catrakilis four minutes from time decided the contest and denied Warriors a semi-final against either Clermont Auvergne or Northampton. 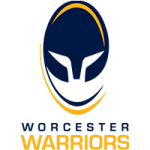 Warriors looked like they had claimed a deserved win after wings Bryce Heem and Tom Howe crossed for tries and Duncan Weir levered over a nerveless penalty after 74 minutes but Warriors were caught off-side from the restart and Catrakilis found the target. Warriors produced some scintillating rugby at times but could not quite turn their pressure into more points in a game of ferocious defence from both teams. The big plus from the night for Warriors was the return to action of Scotland back row Cornell du Preez after almost seven months out with a fractured larynx. Du Preez played the last 25 minutes as replacement for Sam Lewis and was high-tackled by two Harlequins defenders to give Weir his last penalty. Warriors dominated the opening exchanges but it was Harlequins who took the lead, very much against the run of play, when they attacked from a lineout on the home 22 and worked an overlap for right wing Cadan Murley to cross for a try that Marcus Smith was unable to convert from the touchline. But Warriors regrouped quickly and effectively and were back on level terms again within seven minutes. Duncan Weir kicked a penalty to the corner, Warriors won the lineout and rumbled infield. Harlequins went off-side but French referee Alexandre Ruiz played advantage and Warriors made the most of it with Weir putting in a pinpoint accurate crossfield kick which found Bryce Heem unmarked. Weir’s conversion drifted wide but Smith found the target to regain the lead for Harlequins three minutes from half-time. There was time for Warriors to put Harlequins under more pressure and Weir had the opportunity to equalise when a scrum went down on the stroke of half-time. Weir’s penalty attempt, from near halfway, had the distance but not quite the accuracy. Warriors hit Harlequins hard at the start of the second half and went ahead when Chris Pennell threaded a perfect grubber through the advancing defence and Howe followed up to continue his prolific form this year by scoring his 11th try in 13 first team appearances, including five in this competition. Weir’s conversion brushed the left post and went out but he found the target midway through the second half with a well-struck penalty which extended Warriors’ lead. Harlequins proved tenacious in defence and withstood further pressure from Warriors and they were also dangerous on the break with a sustained attack creating space for centre Ben Tapuai to cross for a try that Catrakilis improved. Weir’s second penalty looked like it might have been enough to clinch victory but Catrakilis ruined Warriors’ party. Warriors | 15 Chris Pennell, 14 Bryce Heem (Heaney 54), 13 Ben Te’o ,12 Ryan Mills (C) (Venter 41), 11 Tom Howe, 10 Duncan Weir, 9 Francois Hougaard, 1 Callum Black (Waller 41), 2 Niall Annett (Taufete’e 41), 3 Gareth Milasinovich (Kerrod 41), 4 Pierce Phillips (Barry 38-40), 5 Michael Fatialofa (Barry 41), 6 Carl Kirwan, 7 Sam Lewis (du Preez 54), 8 Matt Cox. Replacements | 16 Joe Taufete’e, 17 Ethan Waller, 18 Simon Kerrod, 19 Darren Barry, 20 Cornell du Preez, 21 Michael Heaney, 22 Scott van Breda, 23 Francois Venter.